I extracted it out into a module and am documenting it here. It utilizes sets in Redis. Each user has a set called following and followers. 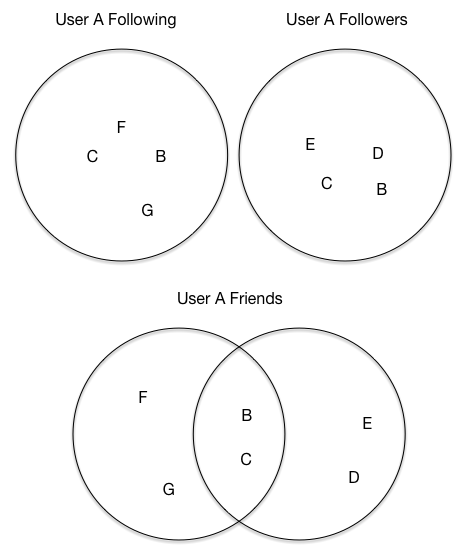 When a User A wants to follow user B, you add the id of User B to user the set of User A. To get all of the users A is following you simple get all the members of the following set of User A. And there you have it: a simple friending model built on redis w/o any complicated joins that would result if we did it in SQL!